Arteriosclerosis is a heart condition also known as hardening of the arteries. Different forms of arteriosclerosis are the number one causes of stroke and heart disease. Research shows that arteriosclerosis is the number one cause of death, and it is considered the underlying cause of 50% of all deaths in the U.S. Many people turn to natural treatment for heart disease, including homeopathy. In a healthy person, arteries are elastic and flexible, and they transport blood from the heart to other parts of the body. Arteriosclerosis occurs when the inside of the artery wall thickens, leaving a narrowed passageway for the blood to travel through. Although arteriosclerosis often affects the coronary arteries, thickening of the arteries can happen anywhere in the body. When the arteries become stiff, they begin to restrict blood flow to major tissues, muscles, and organs, which will lead to organ failure, stroke, heart attack, and other issues. There are three main types of diseases that fall into the broader category of arteriosclerosis, including arteriolosclerosis, Monckeberg medical calcific sclerosis, and atherosclerosis. Atherosclerosis will occur when there is a buildup of cholesterol, fats, and plaque in the artery walls. This is a type of arteriosclerosis that can lead to heart attacks. When atherosclerosis develops, the buildup of plaque will form blood clots that eventually burst. However, not all causes of arteriosclerosis lead to heart attacks, or involve blood clots. Several studies have linked various environmental, lifestyle, and genetic risk factors with arteriosclerosis. Inflammation is also a major cause of arteriosclerosis, and it is largely triggered by chronic stress, depression, and anxiety. Also, a poor diet that is high in saturated fat and low in fiber and antioxidants, as well as a sedentary lifestyle, obesity, and inactivity will cause arteriosclerosis. There are also factors that increase the risk of atherosclerosis, including smoking, high blood pressure, diabetes, elevated iron levels in the blood, and an excess of toxic metals and other toxins such as air pollutants. Unfortunately, when arteriosclerosis is left untreated, the condition gets worse, and the arteries will become so constricted that an adequate amount of oxygenated blood can’t reach the heart muscle. This leads to chest pain, which is a precursor to a heart attack. The best way to prevent or treat arteriosclerosis is to change our habits through dietary change and moderate exercise. Homeopathic remedies can also help treat the hardening of the arteries. A study published in the Journal of Alternative and Complementary Medicine in 2005, found that the homeopathic formula called Vertigoheel, is an effective alternative to ginkgo biloba for treating atherosclerosis-related vertigo. For treatment of arteriosclerosis, homeopathic remedies should be taken in low potencies for long periods of time. For example, a chosen remedy can be taken in the 6x strength for a one or two-month period, before proceeding to the 12x potency for an equal amount of time. You may need to use several types of remedies in sequence. Naturally, results are slow and gradual. The following are eight of the most prescribed arteriosclerosis homeopathic remedies. Crataegus is effective for arteriosclerosis symptoms, including shortness of breath, exhaustion, weakness, and angina. Quiet and fresh air tends to improve symptoms, while a warm room worsens things. In an observational study published in the European Journal of Heart Failure in 2003, found that homeopathic crataegus is as effective as ACE inhibitors and diuretics for treating mild cardiac insufficiency. Aurum iodatum is used for mental disease after treating heart diseases like hypertension, arteriosclerosis, and heart inflammation. The person may feel cheerful, but also anxious and hurried. Symptoms worsen with warmth and exertion. Aurum is used for arteriosclerosis, hypertension, and an enlarged and weakened heart, along with nightly pain attacks behind the breastbone. The person is also depressed and suicidal, and yet fears death. Common emotional feelings include loss, failure, grief, and self-blame. Symptoms improve from open air, and worsen during the night and winter months. Think about using baryta muriatica for arteriosclerosis when there is an irregular and rapid pulse, exhaustion, shortness of breath, dizziness, and mental weakness. The person easily angers, and symptoms worsen while sleeping and during springtime. Natrum iodatum is typically used for chest pain, heart inflammation, and arteriosclerosis when there is also shortness of breath, dizziness, chronic bronchitis, chronic hay fever, and rheumatism. Plumbum is useful for when there is pressure in the chest produces shooting pains and difficulty breathing. Other symptoms include trembling, palpitations, abdominal cramps, constipation, paranoia, dementia, and chronic kidney disease. Symptoms worsen at night and while someone is present. Strontium carbonicum is useful arteriosclerosis, along with headaches, nausea, weakness, and vertigo. The person will also feel flushed, and their heart feels smothered. Heat improves symptoms, while things worsen from walking, especially at night. 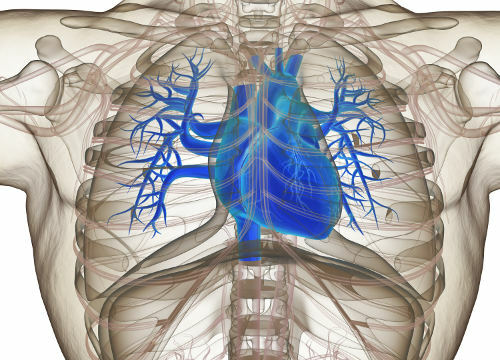 Vanadium is used for arteriosclerosis when there is a pressure in the chest, and the heart feels grasped and compressed, as if it is too full of blood. The person also has fatty degeneration of the liver, heart, and arteries. The person’s arteriosclerosis is often the result from arthritis, diabetes, or tuberculosis. The person also has high personal standards, and suffers from eating disorders and craves sweets. In addition to homeopathy, other natural arteriosclerosis remedies will help prevent and treat arteriosclerosis. Ginkgo biloba in particular improves blood flow. Vitamin E also has antioxidant and cardio-protective properties. Here are a few more supplements you should consider taking. The heart uses magnesium to produce energy for contraction and a regular rhythm. It also reduces blood pressure, relaxes blood vessel walls, and improves circulation. This herbal supplement will reduce inflammation, and act as a natural antiplatelet and anticoagulant treatment. CoQ10 is used by the heart cells to pump efficiently and with a regular rhythm. It can also improve angina, prevent oxidation of LDL cholesterol, and lower blood pressure. Fish oil is known to decrease inflammation in the arteries, reduce blood pressure, and lower cholesterol and triglycerides. However, if you are on a blood thinner, consult your doctor for an appropriate fish oil dosage. Essential oils are great for reducing inflammation and stress, and fighting heart disease-related symptoms. Some effective oils include lemon oil, lavender oil, frankincense oil, ginger oil, helichrysum oil, and lemongrass oil. Arteriosclerosis can be a difficult condition to understand, but it is very treatable. The best place to start is your diet, by eating good fat sources. Not all types of fat are bad. Monounsaturated fats in particular can reduce LDL (low-density lipoprotein) cholesterol levels when they replace trans fats, saturated fats, and refined carbohydrates. Some good fat sources include avocado, olive oil, chia seeds, flaxseeds, and cold water fish. Exercise and stress reduction are also very important. Try to get at least 30 minutes of daily exercise, such as walking or light jogging. Moderate exercise can also help reduce stress. Other forms of relaxation include meditation, restorative yoga, massage therapy, and using essential oils. Hershoff, A., N.D., Homeopathic Remedies: A Quick and Easy Guide to Common Disorders and Their Homeopathic Treatments (New York: Penguin Putnam Inc., 1999), 102-103. Balch, J., et al., Prescription for Natural Cures: A Self-Care Guide for Treating Health Problems with Natural Remedies Including Diet, Nutrition, Supplements, and Other Holistic Methods (Hoboken: John Wiley & Sons, Inc., 2004), 155-164. Martel, J., “Atherosclerosis,” Healthline, November 24, 2015; http://www.healthline.com/health/atherosclerosis#Overview1. “What is Atherosclerosis?” WebMD, August 31, 2016; http://www.webmd.com/heart-disease/what-is-atherosclerosis#1, last accessed February 10, 2017. “Arteriosclerosis/atherosclerosis,” Mayo Clinic; http://www.mayoclinic.org/diseases-conditions/arteriosclerosis-atherosclerosis/symptoms-causes/dxc-20167022, last accessed February 10, 2017. Schroder, D., et al., “Efficacy of a homeopathic Crategus preparation compared with usual therapy for mild (NYHA II) cardiac insufficiency: results of an observational cohort study,” European Journal of Heart Failure, June 2003; 5(3): 319-326, doi: 10.1016/S1388-9842(02)00237-4.